Obamacare was Topic A on this week's Sunday talk shows, and not everyone had their facts straight. PunditFact rates their claims. Another Sunday, another set of misrepresentations about the Affordable Care Act. On ABC’s This Week, a gaggle of pundits discussed the resignation of Health and Human Services Secretary Kathleen Sebelius. That evolved into a debate about the law’s effectiveness and the implications for the midterm elections. Conservative radio host Laura Ingraham argued that the health care law is resulting in higher health care costs and fewer health care choices, claims that got a rise out of liberal pundit James Carville. “It’s costing 2 million jobs, according to the (Congressional Budget Office),” Ingraham said, cutting Carville off. Both arguments have some technical flaws. We’ll explain why. Ingraham said the health care law is “costing 2 million jobs” and cited the nonpartisan Congressional Budget Office as a source. The number isn’t out of thin air, but Ingraham isn’t describing the statistic correctly. In a February report, the CBO projected “a decline in the number of full-time-equivalent workers of about 2.0 million in 2017, rising to about 2.5 million in 2024." But the losses the CBO projected aren’t job losses, and they aren’t driven by employers laying off employees. Essentially, some workers are expected to voluntarily dial back their hours, government researchers predict. It’s an important distinction. The CBO estimated that millions of Americans will probably decide they don’t need to work as much because the law makes health insurance more available by offering subsidies on the federal marketplace and by expanding Medicaid eligibility in some states. Just as important, the CBO’s 2 million “full-time-equivalent workers” figure is not a dressed-up word for 2 million full-time jobs. The CBO did not break down how many full-time jobs would be reduced under the law versus employees simply working fewer hours, dropping a separate part-time job, or leaving the workforce. Lastly, CBO researchers say total employment will increase over the next decade, but the “increase will be smaller than it would have been” in the absence of the health care law. 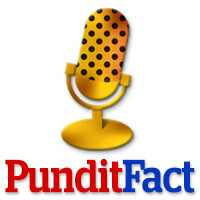 PunditFact rates the claim Mostly False. Carville, meanwhile, pointed to health insurance risk corridors as a sign that the health care law is working. In reality, the lack of news about the risk corridors—a mechanism that could result in the government subsidizing health insurance companies—is entirely expected and does not speak to the law’s performance. Carville’s claim rates Mostly False. The health care law does a complete number on the insurance game as Americans know it, at least in the individual and small group markets. Instead of companies making a profit through selling policies to the healthy and avoiding the ill, the law aims to pull carriers into a world where they insure everyone and compete based on efficiency and value. Enter the government and a few tricks to spread both possible losses and windfall profits among insurance companies and between all insurance companies and the government. One of those devices is temporary program called risk corridors. Here’s how it works. The government sets financial benchmarks for each plan offered on the marketplace. As long as insurers come close to that benchmark, nothing happens. If an insurer overperforms by up to 3 percent, they can keep the extra revenue. If they underperform by up to 3 percent, they are forced to absorb those additional costs. When the gaps get wider, however, money starts changing hands. If insurers beat their benchmark by 3-8 percent, they have to split that extra revenue with the federal government. If insurers beat the mark by more than 8 percent, the government receives 80 percent of that additional money. On the flip side, when insurers fail to meet their benchmarks the government helps absorb those costs. If insurers underperform by 3-8 percent, the government will cover half the extra cost. The government covers 80 percent of losses bigger than that. Conservatives like Sen. Marco Rubio, R-Fla., and Bill Kristol, editor of the conservative Weekly Standard, have been waving a red flag, warning that the risk corridors program is a built-in bailout for health insurance companies. CBO, meanwhile, says that when coupled with some other programs, risk corridors will actually generate revenue for the federal government. The fact is, we won’t know until insurance companies tally the premiums they collected and compare those to the claims they paid out in 2014. The very earliest they could do that would be January 2015, but they have until the end of July 2015 to submit their data to Washington. Melinda Buntin, who chairs the Department of Health Policy at the Vanderbilt University School of Medicine, said it’s too early to draw conclusions the way Carville did. “With people just enrolling now, we don’t know how the risk corridors will play out,” Buntin said. Staff writers Katie Sanders and Jon Greenberg contributed to this report. Aaron Sharockman is the editor of PunditFact.com.